This is for glycerin soap bar in the shape of a turkey. The soap is approximately 2.25 ounces. The Turkey is ~3.5 inches tall, ~2.5 inches wide, and ~1 inch thick. It is scented Cranberry Orange and colored brown. 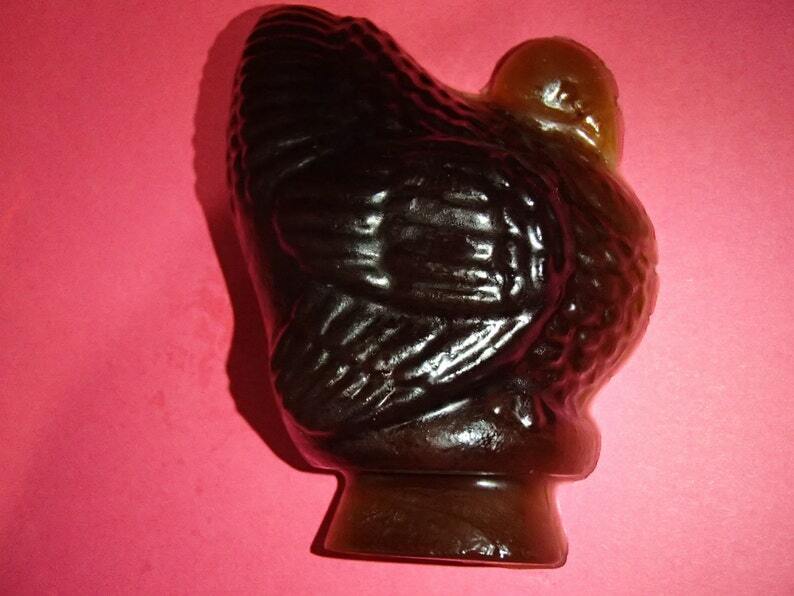 This turkey soap is great to use as guest soaps, personal use, or just for display during the Thanksgiving season.